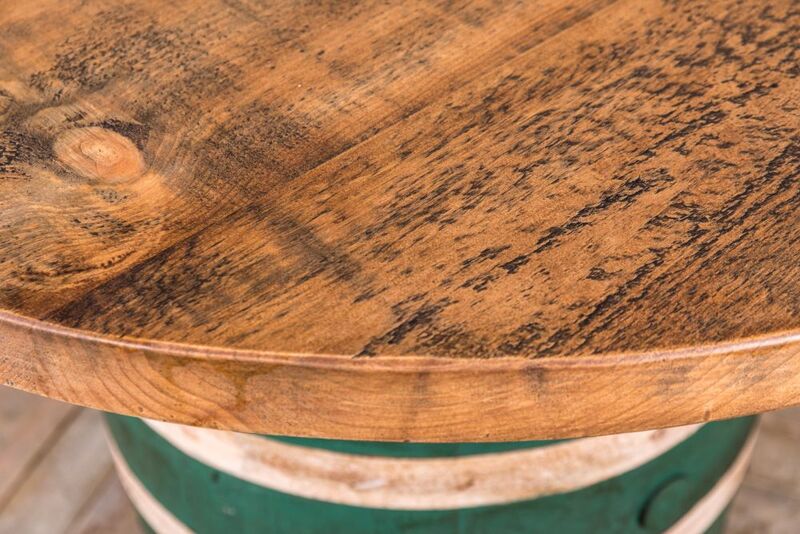 This wooden barrel table is a very distinctive piece of furniture. 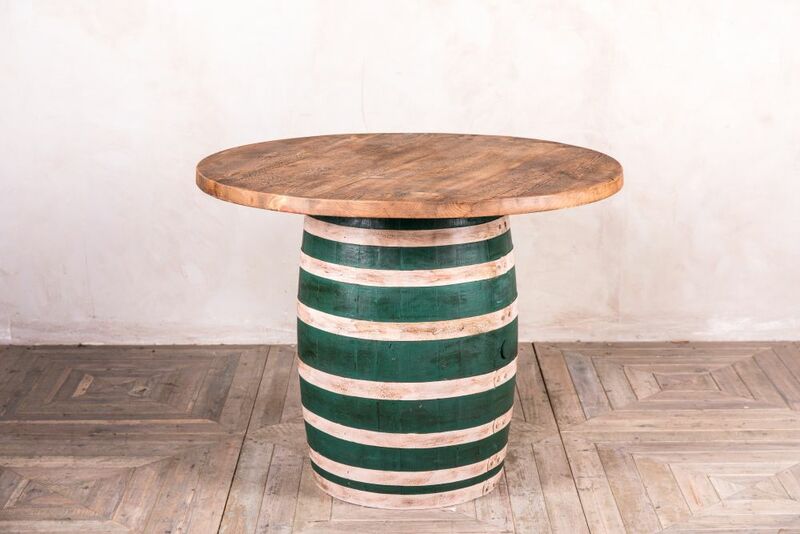 It has been created from a vintage barrel and a reclaimed pine table top. 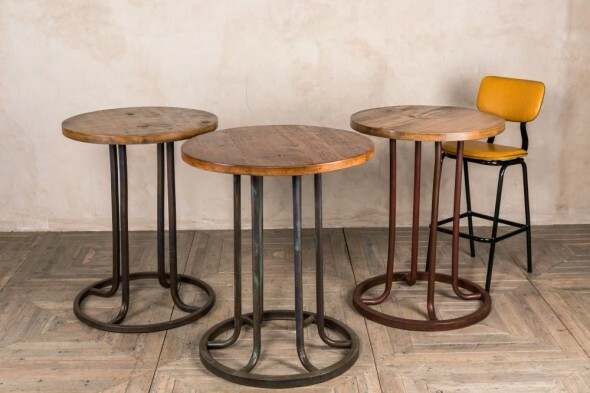 These tables are assembled to order, so please allow a lead time of two to three weeks. 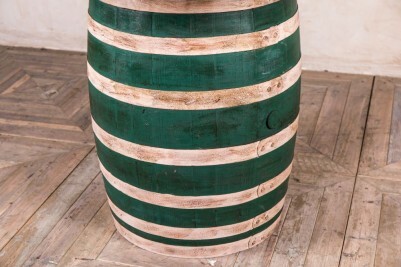 The barrel can also be painted in your chosen Farrow & Ball colour. 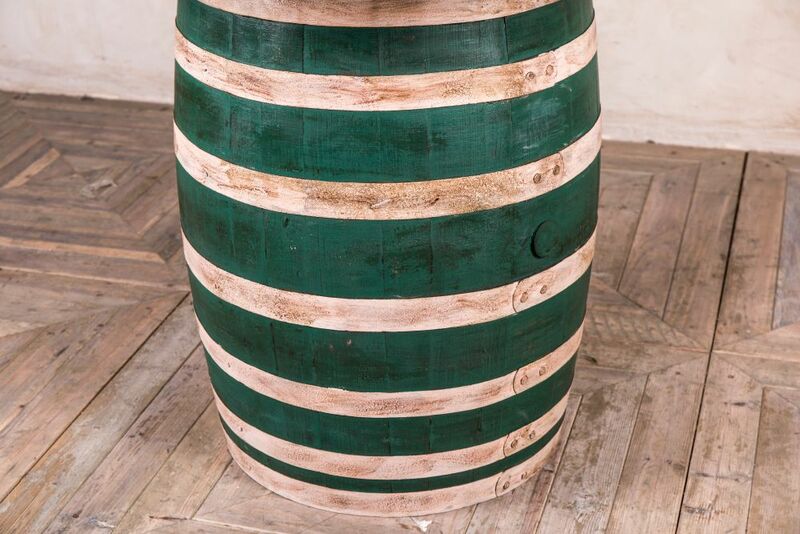 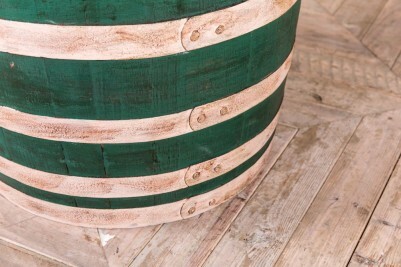 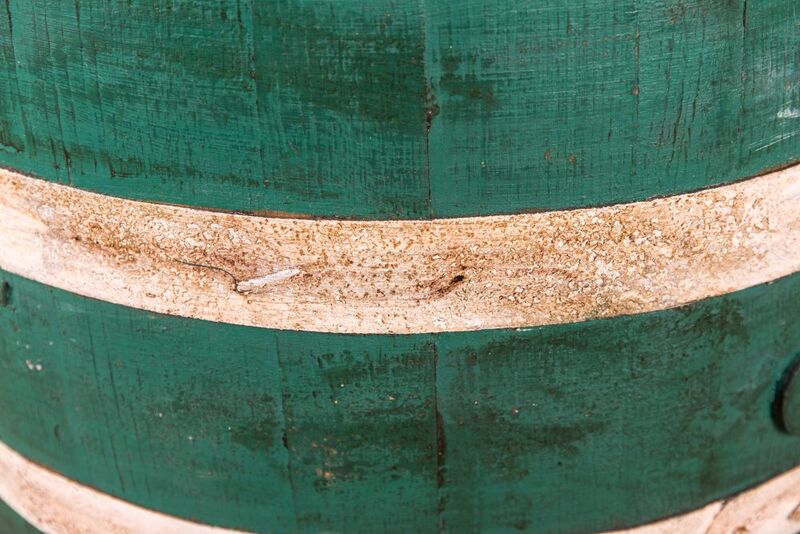 The barrel pictured has been painted with green and white stripes and hand distressed, giving it a fantastic nautical appearance. 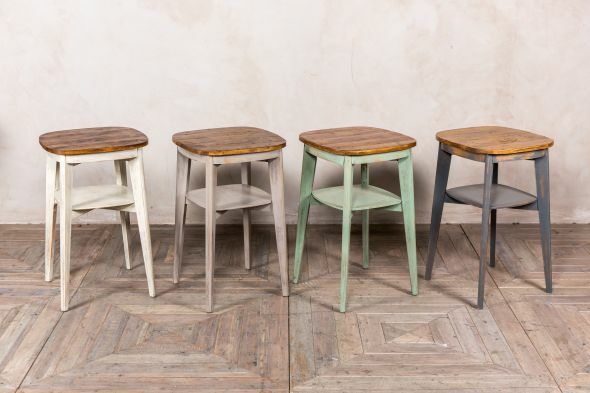 The table is poseur height, and it would go well with vintage wooden stools. 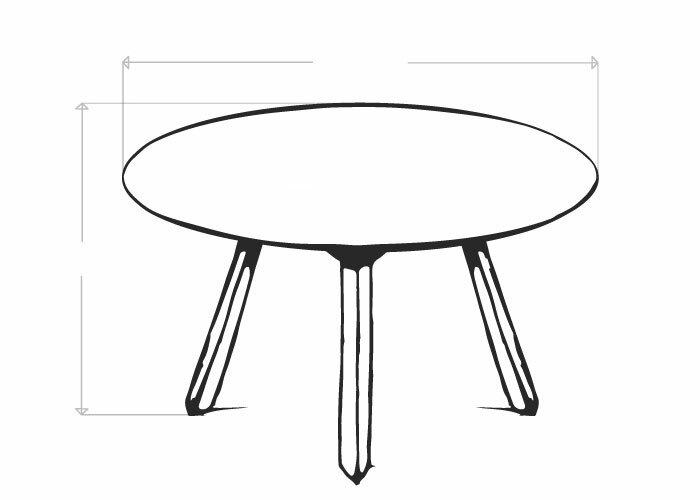 Please ensure that you measure the height of the stools that you wish to use with this table. 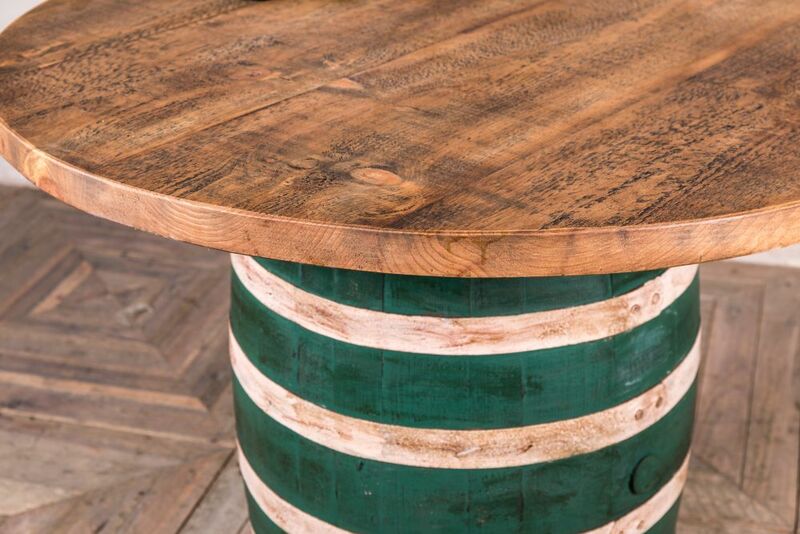 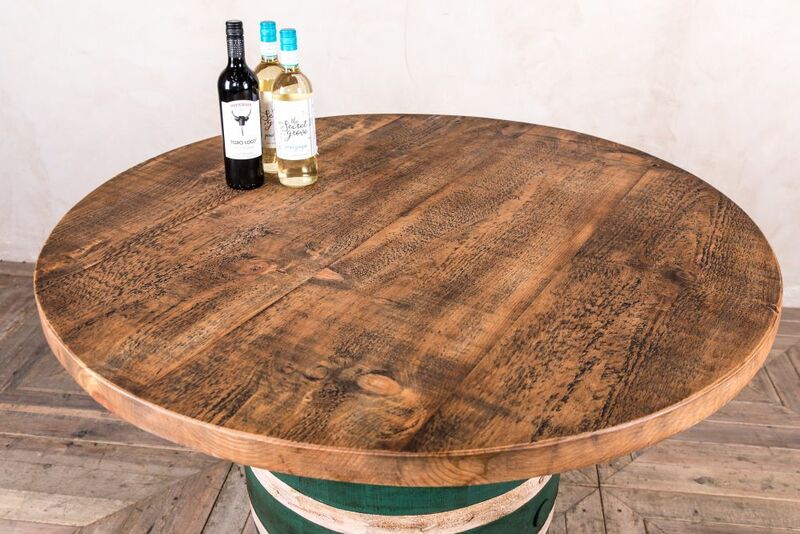 The wooden barrel table would suit a marine themed restaurant, cafe, or fish and chip shop. 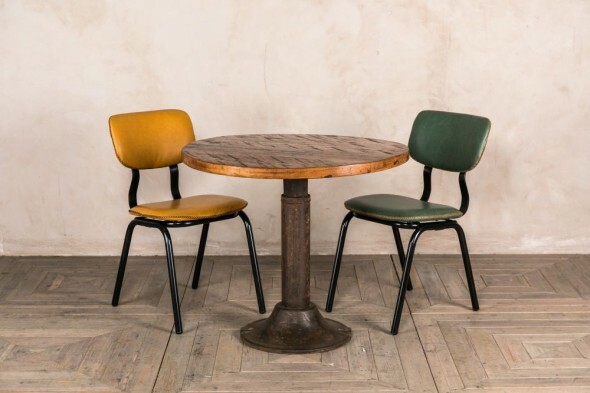 It could even be used in an industrial style kitchen as a quirky dining table or breakfast bar.